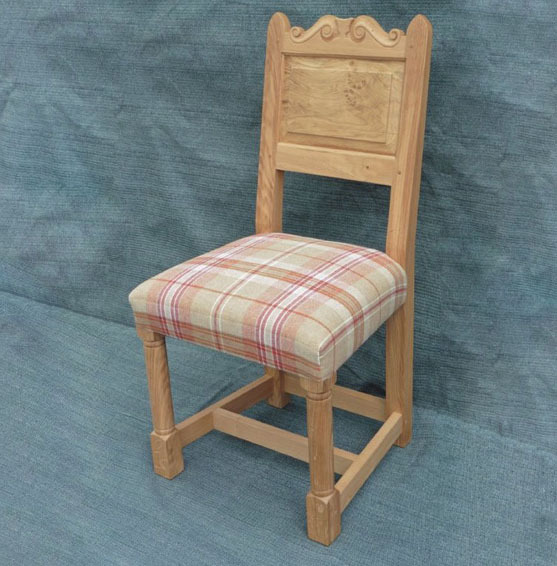 All chairs and stools are made with traditional mortise and tenon joints with beech timber seat rails making them strong and durable. 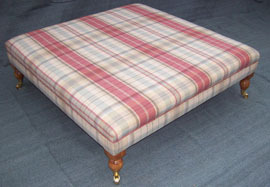 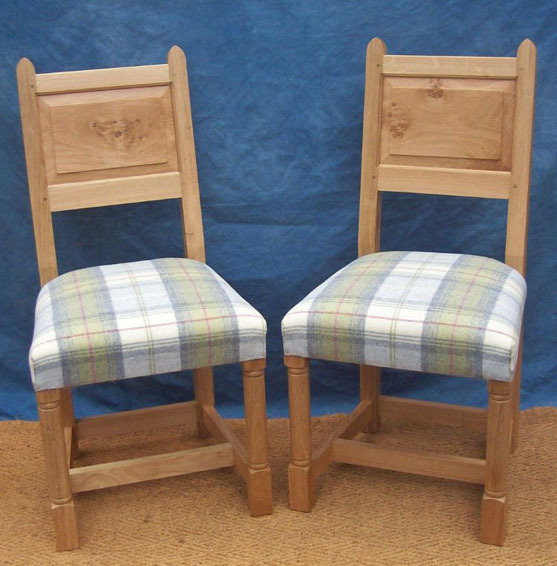 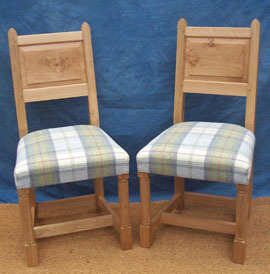 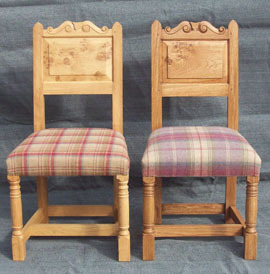 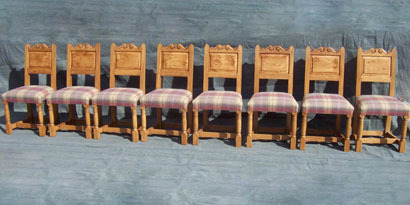 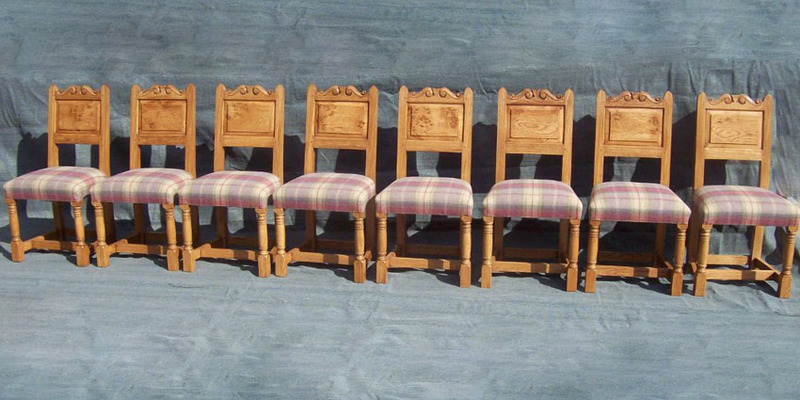 The design of the chairs and footstools are of traditional design, but can be made bespoke to customer requirements. 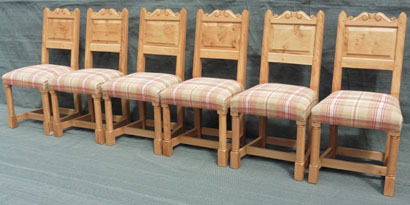 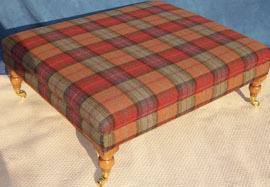 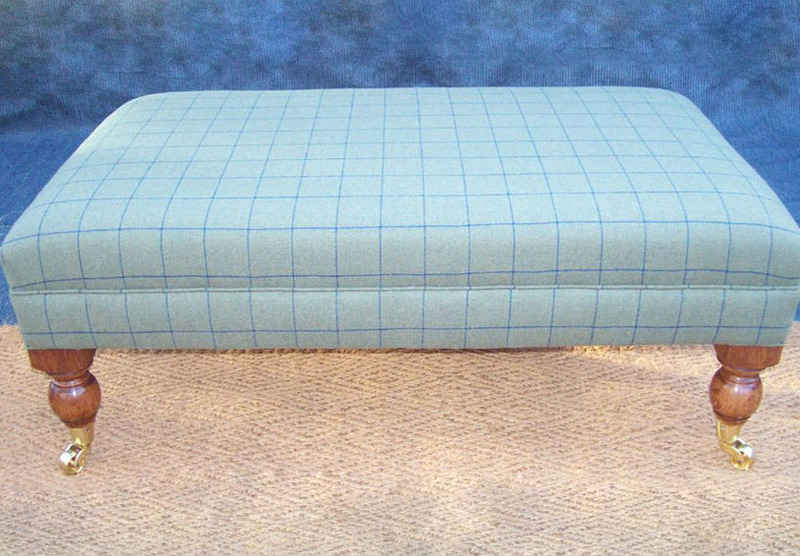 All are upholstered in a choice of top quality fabrics or using customers own preferred fabric to match their decor.